Calgary, Alberta --- December 11, 2018 --- Nureva Inc., an award-winning collaboration solutions company, announces the integration of its HDL300 audio conferencing system with the Intel Unite solution for content sharing and collaboration. The new V4 plugin for the HDL300 system gives Intel Unite users easy access to the audio system controls, allowing them to quickly change volume or mute a call directly from their laptop. Intel Unite has added the Nureva™ HDL300 system plugin to its App Showcase, which highlights a collection of plugins that deliver digital transformation to any collaboration space. This integration is part of the ongoing expansion of Nureva’s ecosystem, designed to deliver a seamless and integrated collaboration experience. The simplicity of the HDL300 system as a plug-and-play USB device makes it an ideal solution for integration with a wide range of products and technologies. Nureva is an exhibitor at ISE 2019 in Amsterdam this February and will be showcasing its solutions, including the HDL300 audio conferencing system. Visitors to stand 11-B180 can receive live demonstrations. Download images showcasing the HDL300 audio conferencing system. The HDL300 audio conferencing system resolves the frustrating and persistent issue of poor audio pickup, especially in dynamic rooms where participants move around the room. When combined with the Nureva Wall or other interactive display, the HDL300 system can also be used as the primary source for audio and video playback. 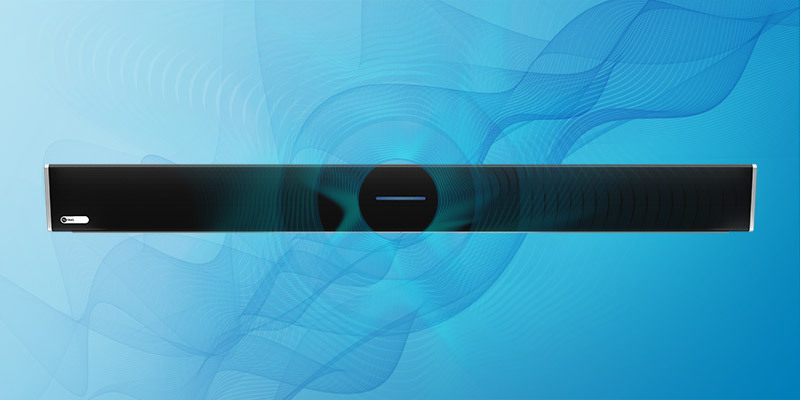 At the core of the HDL300 system is Nureva’s breakthrough Microphone Mist™ technology, which places thousands of virtual microphones throughout a room to pick up sound from any location to ensure that everyone is clearly heard regardless of where they are in the room or the direction they are facing. The system uses sophisticated algorithms to simultaneously process sound from all virtual microphones to provide remote participants with a high-quality listening experience, enabled by continuous autocalibration, simultaneous echo cancellation, position-based automatic gain control and sound masking. The HDL300 system is designed to work with Skype® for Business, Zoom, Blue Jeans, Cisco® Spark, Cisco WebEx®, GoToMeeting™, Pexip® Infinity Connect and other common UC&C applications. For more information, visit the HDL300 section on the Nureva website. © 2018 Nureva Inc. All rights reserved. Nureva, Microphone Mist and the Nureva logo are trademarks of Nureva Inc. in the United States, Canada and other countries. All third-party product and company names are for identification purposes only and may be trademarks of their respective owners.